There are some differences between Portuguese from Portugal and from Brazil, but this is a translation we can live with. A minor comment: in Portugal, “pie charts” are usually translated to “tartes”, a literal translation. Instead of pie, cheese, pizza or other food metaphor, I would translate “pie chart” to “circular chart”. That’s the beauty of Collaboration! Thanks Andrew for posting it, and thanks Jorge Camoes, for the correction!! Being in Brazil, and only discussing this things in english, i wasn’t aware of this specific linguistic characteristic. 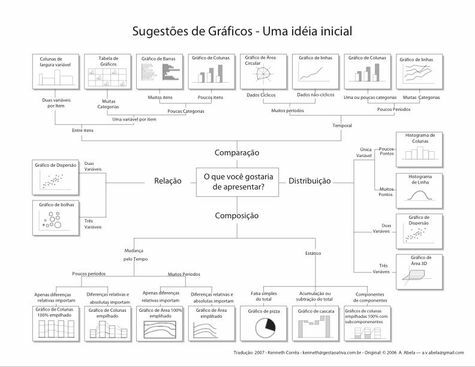 Good to know that that is portuguese-speaking people into visualization!! But before that, any more suggestions? I’ll translate this one, and any other you point, it and send it over again to Andrew.